Our family has enjoyed Peanut-the-cat since 1999. I donated this piece to the Meow Foundation and was inspired, to a great extent by a contemporary poet, Nikki Reimer. She once had a cat named Bill. Bill is featured throughout this piece. Also, she created an amazing project of East Van Cat snaps…categorizing the cats by colour on her website. 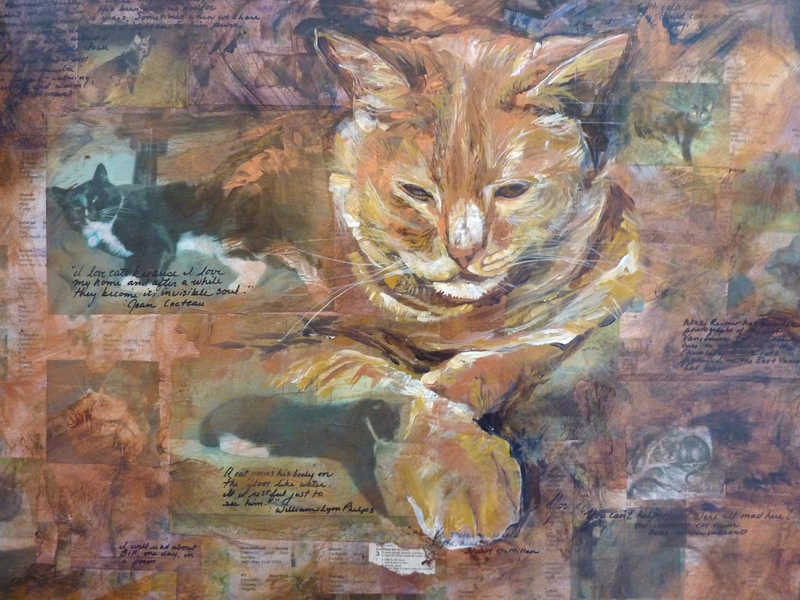 I featured her black East Van cats as collage elements in the piece. I’m sort of dreaming of painting people’s cats because I love them so much…and also because I like exploring the many layers of what those cats mean to their families. I managed to incorporate pine needles from this guy’s vacation spot…maps for the same location, notes written and left by the phone regarding his breeding and purchase…lots of bits and pieces of puppy nostalgia. 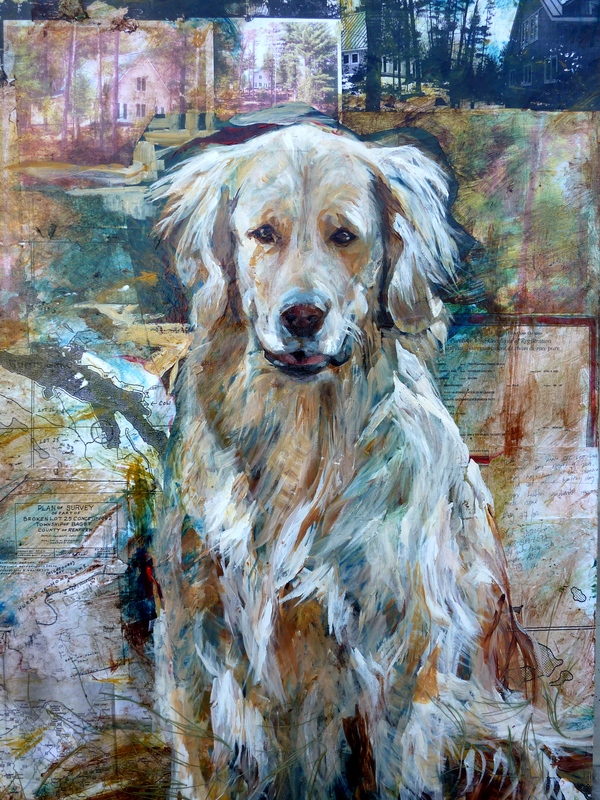 I loved the opportunity to explore such a beautiful retriever!